Following the successful completion of the long term program, the advanced program focuses on Superadobe vault construction. 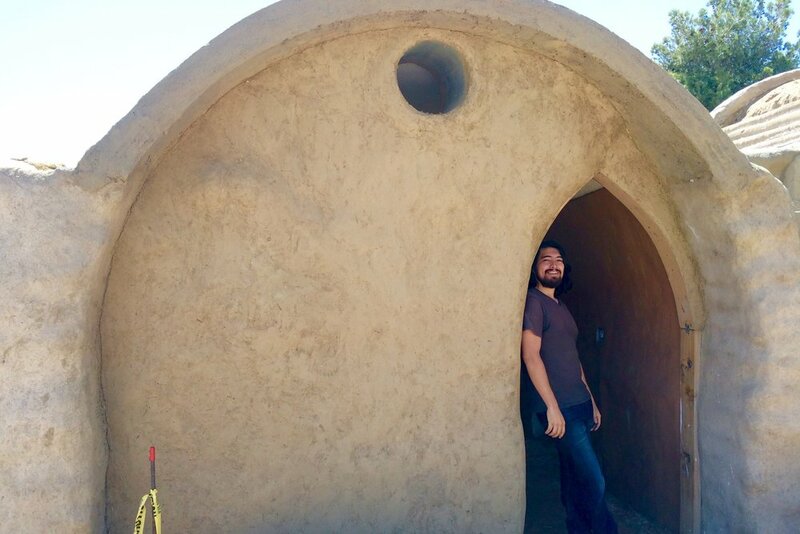 Once a student completes the long term program, they have a solid foundation in dome Superadobe construction. Vault construction is the next step in the mastery of this technology. This program offers the opportunity to design and build a full vault through completion. NOTICE: CalEarth's Hesperia campus is currently closed. We are currently coordinating alternative locations for upcoming workshops. If a location is not found, your tuition will be refunded in full. Space is limited to 6 students per program. All applicants required to have previously attended long term apprenticeship at CalEarth or received prior approval of site director before applying. On-site housing included for duration of program. All applicants will be interviewed by site director prior to admission. Space limited to 6 people.